Buying a 4x4 is something many people consider at this time of year, ahead of the poor weather of winter. But buying a used car is often fraught with potential problems and this is even more of an issue with 4x4s, which have more expensive mechanicals and have sensitive maintenance schedules. We’ve checked how some popular used 4x4s perform in the MOT files, so hopefully you’ll be able to find one that’ll be dependable through the winter. Always remember, though, that all vehicles need to be well maintained and serviced, and a car that’s well looked after is far more likely to do well in its MOT. All of the scores below are based on 2007 model cars tested in between September 2010 and September 2011. What better 4x4 than a Land Rover? According to our MOT files they’re not a bad choice, with an overall pass rate of 84.4%, 29% better than the average for other cars registered in 2007. A key area to watch out for is the brakes, which have above average failure rates. Japanese cars have a reputation for reliability, and it seems to be fairly well deserved. 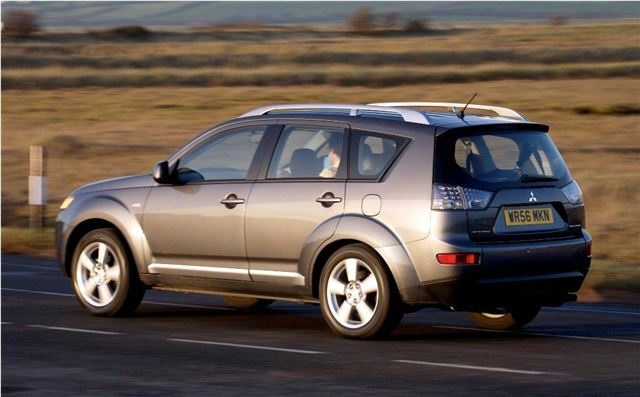 The 2007 RAV4 has an average pass rate of 86.3%, and the only area it scores as a relative weak point in is the fog-light, which has twice the average chance of failure. That’s still a very slim chance, though, so the Rav4 is a fairly dependable choice, with the best pass rate in this list. The X5 doesn’t do as well as the rest of the cars in this list, with 2007 models scoring an average pass rate of 77.2%. Nonetheless, the common causes for failure are minor – things like the bulbs on the registration plate and other lighting related issues – and all are easy to check ahead of an MOT test and don’t cost much to put right. Why spend a fortune? If all you need is an all-wheel drive system for tough conditions, the tiny little Jimny is ideal. 2007 models have an average pass rate of 81.7%, but unfortunately suspension problems are more common on Jimnys than on other cars from 2007, so makes sure everything is in order with the four-wheel drive system. A budget choice – the 2007 Sportage has an average pass rate of 79%, which isn’t quite as high as some of the cars in this list. Lighting is the biggest cause for failure across all makes and models and its the same story here, but suspension is more of a problem on the Sportage than on the average car. The current generation Sportage was introduced in 2010, so these figures are for an older design. Honda, like Toyota, has a reputation for making dependable cars. The CR-V is no exception, with 2007 registered cars scoring an average pass rate of 85.4% - second best in this list. Most of the common areas for an MOT failure are less of an issue here than on the average car, but brake hub problems are 35% more common than on other vehicles of the same vintage. The Outlander does fairly well, with an overall pass rate of 83.5%. The only area that scores below average pass rates is the fog light, which is a simple fix. Besides that, the Outlander table is filled with green, which means above average pass rates on most areas. It's also fairly frugal and solidly built. Whatever used car you’re looking for, from sporty coupe to large 4x4, check our MOT files to see how your shortlisted models performed in their MOT tests.